Phoenix Nest » Blog Archive » Iron Man pinball machine! 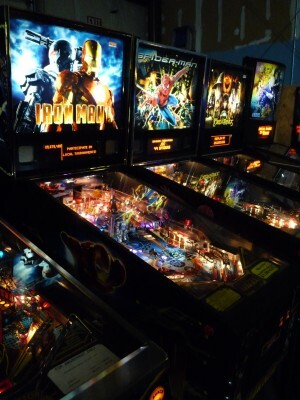 Phoenix Nest Classic Video arcade is happy to announce that we have added the newest Stern pinball machine, Iron Man, to the arcade! 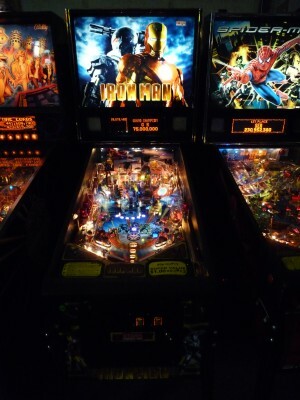 This is a multi-ball oriented game, featuring two magnets and a large Iron Monger toy that rises out of the center of the playfield during play. I was pleasantly surprised that Stern was able to release this game before the movie came out, and hope that this continues for movie licenses. The other pinball machines were all given a basic cleaning and had some lights changed and minor repairs done, so they should all be playing a lot better now. I currently plan to rotate through them giving them a thorough cleaning and maintenance check when I’m done restoring Addams Family. This entry was posted on Wednesday, May 5th, 2010 at 5:33 pm	and is filed under Uncategorized. You can follow any responses to this entry through the RSS 2.0 feed. Both comments and pings are currently closed.